(09-22-2016, 08:09 AM)Rufus Wrote: About an hour ago I was looking at one of these at our local Italian bakery. I was wondering how well it works, as I like strong, full-bodied coffee. I thought a Bodum French press would be the answer, but it really doesn't do it no matter what coffee I use or how carefully I grind the beans. It makes a very rich cup of coffee. It's similar to espresso in concentration and emulsion. A tip though, check Goodwill. My boss found me one for about $5, never used, and they usually go for $30 new. Unfortunately, because the Bialetti is made of aluminium it is not compatible with an induction cooktop. I can buy a steel converter, but it costs as much as the pot. I have found a Giannina TUA which is made of 18/10 stainless and is induction compatible. It, however, costs about as much as the Bialetti plus the steel converter disc. Does the Giannina make as good coffee as the Bialetti? (09-22-2016, 11:23 AM)Rufus Wrote: Unfortunately, because the Bialetti is made of aluminium it is not compatible with an induction cooktop. I can buy a steel converter, but it costs as much as the pot. I have found a Giannina TUA which is made of 18/10 stainless and is induction compatible. It, however, costs about as much as the Bialetti plus the steel converter disc. Does the Giannina make as good coffee as the Bialetti? The first time I had real espresso was while I was in Swaziland, Africa in 2013, cooked over a propane camp stove; I really enjoyed it. I'll have to put it on my Christmas list. Well, I bought a 9 cup Bialetti Moka Express today. Last night I found a 20% off coupon from Bed, Bath and Beyond and as it expires today I thought I better use it. I'm now seasoning the pot and hope to have my first cup later this afternoon. (09-26-2016, 10:43 AM)Rufus Wrote: Well, I bought a 9 cup Bialetti Moka Express today. Last night I found a 20% off coupon from Bed, Bath and Beyond and as it expires today I thought I better use it. I'm now seasoning the pot and hope to have my first cup later this afternoon. Enjoy it may take a few trials until you nail the procedure. After seasoning the pot I made myself a mug and a bit of coffee. I used Starbucks' espresso ground medium fine and it turned out a really good cup of coffee: nice and strong without being bitter and very flavourful. My moka pot is getting some heavy use since I'm back from Hawaii. The coffee I bought is too expensive to waste shots dialing it in ($25-$55/lb), so moka it is! And it's making some very rich, delicious coffee. I just grabbed that link as quick reply. I was told to never boil the water, just a slow 'roil' is best. 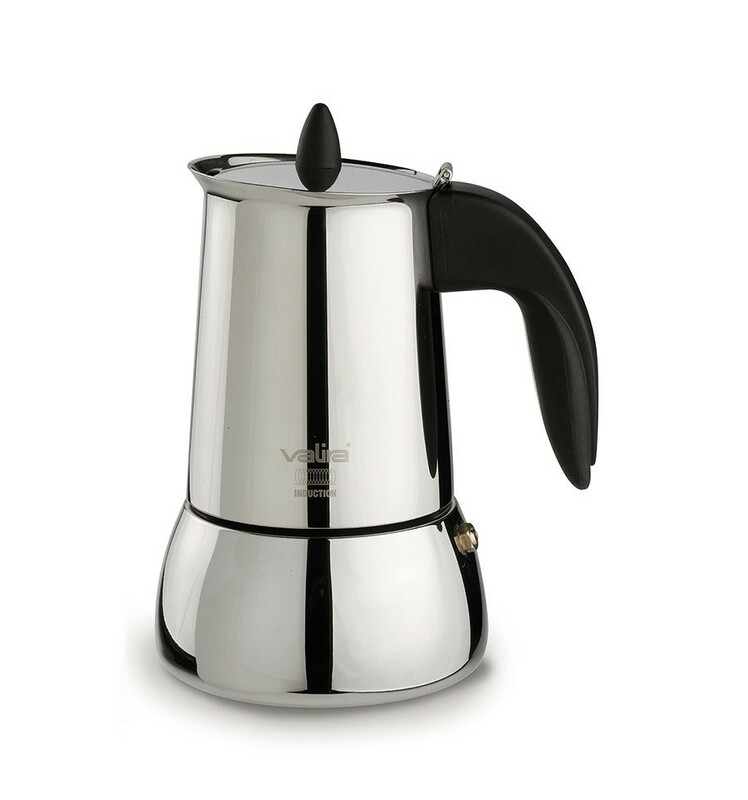 Personal choice is a stainless steel moka as I am wary of aluminium cooking pots, etc (OK, I want to live forever!). Anyway, that link mentions all the points that would take me 1/2 an hour to type, so I took the lazy way out. I'm still working on the right grind to suit me, but the coffee is great so far. Here's my two a Alessi 3-Cup Espresso Coffee Maker and my Barista & Co Gunmetal Milk Frother, Barista tell you to froth the milk cold then heat it up but that's crap advice heat the milk before you froth it I like the Illy Dark roast Espresso for my perfect capucino. Jamie, that Alessi is a beaut! I have a Valira in stainless and I have used it every morning for the last several years.